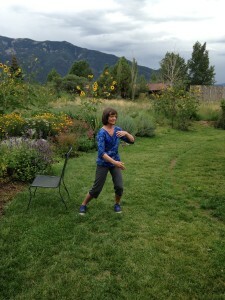 For personal practice, tai chi instructors, and health professionals. This new program is designed to make tai chi accessible to people of all ages and abilities. 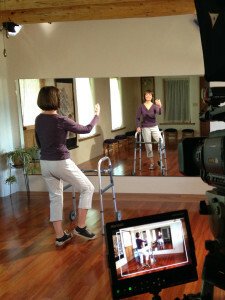 Learn any or all of the three versions: with a chair next to you for occasional support, with a walker, or seated. Ideal for both personal and professional use, movement is taught in a simple-to- complex progression and can be modified to accommodate your needs. Check out the new, comprehensive Tai Chi Fundamentals® Adapted Program book which includes all three versions, and DVDs for each version. Start now and enjoy its benefits for a lifetime. Begin by learning the Basic Moves. 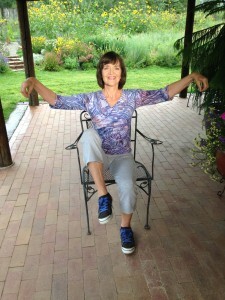 They help prepare you for practicing Tai Chi and benefit posture, coordination, and balance. They also help you become more calm and focused. Then start learning the Tai Chi Fundamentals Short Form which is simplified from the original Tai Chi Fundamentals Form. All movement is taught in a simple-to- complex progression and you can anything to fit your personal needs. 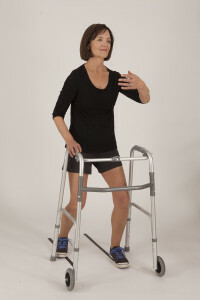 Click here to view more clips of Basic Moves and Form for all three versions: Optional Side Support, Walker Support, and Seated. • Basic Moves: 11-minute series of exercises that serve as building blocks for training tai chi movement skills and energetics. • Tai Chi Fundamentals Short Form: 4-minute flowing sequence simplified from the original Tai Chi Fundamentals Form. • Mind/Body Skills Training: Fosters attention and focus, a calm observant state of mind, awareness of posture and breathing, and physical relaxation. Program Applications: Wellness, balance, geriatrics, stress and pain management, PTSD, TBI, polytrauma, autoimmune diseases, women’s health, orthopedic, neurological, cardiovascular and respiratory rehabilitation. Taught by: Tai chi and fitness instructors, physical and occupational therapists, activity and recreation professionals and nurses. 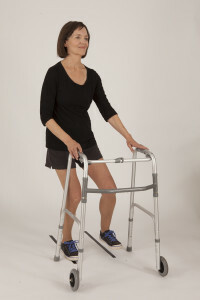 At: Community based classes, long-term care, hospitals, sub-acute, outpatient clinics, home care. Learn the Tai Chi Fundamentals (TCF) Adapted Program: See Trainings; attend attend Course One: TCF Adapted Program Basic Moves Training Course (formerly Levels 1-2), and Course Two: TCF Adapted Program Short Form Training Course. At the end of each course you will receive a Certificate of Completion qualifying you to start teaching all versions of the TCF Adapted Program as a part of your learning process. We recommend that you become a Certified Instructor which includes further practice, training, demonstration of movement proficiency and written exams. We list Certified Instructors on this website and endorse them as instructors who have successfully fulfilled all certification requirements and have demonstrated the knowledge and skills for accurately and effectively teaching this program.